Dr. Saucedo is a Board Certified in General Surgery by School Of Medicine at Autonomous University of Baja California. 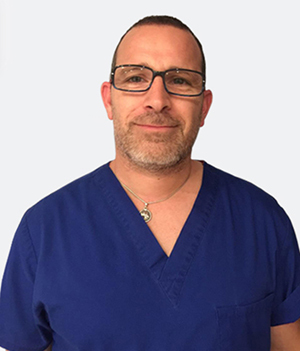 He completed his Postgrade Studies in Advanced Laparoscopic Surgery, Fellowship Adjustable Gastric Band, Training in Gastric Sleeve, Clinical Nutrition and Trauma Surgery at Los Angeles Hospital in Tijuana, Mexico. He specializes in bariatric surgical procedures and boosts over a decade of experience while maintaining an immaculate reputation. We are happy to accept him as a valued member of our team as he has exceeded the strict requirements to join the Pompeii Surgical staff. Need surgery on a Weekedn? No problem. Book now with Doctor Saucedo with Pompeii Surgical and enjoy the comfort of knowing the Pompeii team is behind you 100%. Many of our patients cannot travel during the week and have requested surgery on Saturdays. Pompeii Surgical is proud of announcing that we have expanded our surgical dates to offer WLS procedures performed by a highly recommended surgeon Doctor Saucedo. Dr. Saucedo is an amazing surgeon and I admire his technical skill. I was happy to both recommend and welcome him into Pompeii Surgical. Doctor Saucedo has performed side by side in bariatric surgical procedures with Doctor Quinones, an industry leading bariatric surgeon and brings nearly a decade of experience in performing weight loss surgical procedures to his patient base. Pompeii is proud to bring him on board with our surgical group and is the only bariatric surgeon to ever receive Doctor Q's recommendation. Medical Residency in General Surgery (first year) at the Mexican Institute of Social Security in Yucatan, Mexico. Medical Residency in General Surgery (second thru fourth year) at ISSSTEP Specialty Hospital in Puebla, Mexico. All of our fees are fully disclosed on our website! We value your time. Become eligible for surgery with one simple 5 minute form. See what makes our private surgical center an amazing facility to have your procedure performed.